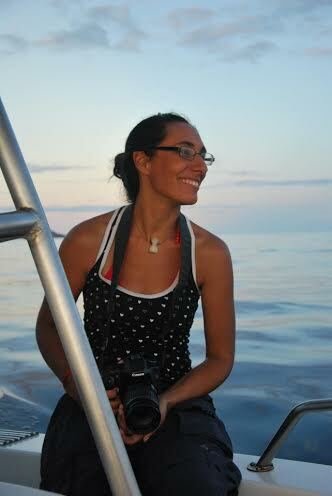 Mel Cosentino obtained her Degree in Environmental Biology at the Universidad de Málaga (Spain) and her MRes in Applied Marine and Fisheries Ecology at the University of Aberdeen (UK). She has been involved in cetacean research since 1998, starting as a volunteer for Fundación Orca Patagonia-Antártida in Argentina (her country of birth) working in educational campaigns against killer whale captivity. Since then she has participated in several research projects in Spain, Portugal and Norway. Mel has conducted field work, both from land and at sea, focused on different cetacean species, including killer whales, Risso’s dolphins and Northern bottlenose whales. In addition, she participated in the Annual meeting of the IWC as part of the Luxembourgish delegation, both in 2011 and 2012. This is how the book “Are dolphins really smart?” by Dr. Justin Gregg starts. It has been recently published and it is available in several countries, including the US and the UK. Moreover there have been a large number of newspaper and web stories based on the conclusions of the book, most along the lines of “dolphins are no smarter than chickens” “Flipper is a thug!” and “dolphins are dumb” This led to a rebuttal article published in Southern Fried Science when David Shiffman interviewed the author and some cetacean scientists about the media frenzy spawned by the book’s release. Studying animal cognition is no easy task, and Dr. Gregg has put together a great amount of information; however, I believe the reader will be confused and misled by some of the comments and statements made by the author, a scientist who holds a PhD and who claims to be analysing the evidence “as impartially as possible with a sincere desire to let objectivity take centre stage”. It would be impossible to critique the thesis of the book point by point, so I have compiled the topics I consider to be more problematic. Although the author uses the following – arguably an extremely anthropocentric – definition of intelligence “It is a measure of how closely a thing’s behaviour resembles the behaviour of an adult human”, he provides a comprehensive explanation of the difference between cognition and intelligence. The comparison is in fact a common practice, and the basis for scientific studies on animal cognition. A direct comparison, however, should not be made, as it fails to consider the evolutionary and ecological circumstances of cognitive skills evolving in cetaceans, primarily oceans are not human-like environments and therefore dolphins could have not evolved having human-like behaviours. Dozens of biological characteristics (e.g., brain size), research experiments and opportunistic observations are analysed in the book. The methodology is simple: humans show a particular behaviour/characteristic and dolphins (and other animals) do not, or they do to a certain degree. Obviously human intelligence is assumed, but unreasonably generalised (e.g., a handful of modern humans went to the moon, thus all humans are capable of building a spacecraft, pilot it and travel out to space). The baseline he uses for the comparison will leave many animals outside the “intelligent” box, but it will also exclude the majority of the current human population, not to mention the entire history of Homo sapiens prior to the modern era of invention and technology. When describing complex behaviours observed in the wild such as sponging by bottlenose dolphins and cooperative seal hunting by killer whales, the author claims that these behaviours are anecdotal and have no scientific value given the lack of an experimental design and the small sample size. He claims that “dumb luck, serendipity or trial and error learning” cannot be ruled out, given that researchers were not there to observe the first time the behaviour arose: “For all we know it was alien visitors who first taught capuchins [monkeys] to smash nuts and dolphins to dig for fish with sponges, so we can’t really be certain how much complex problem solving Sponging Eve(s) engaged is.” This does somewhat disregard a large number of studies both in the wild which have reported spontaneous problem solving and novel behaviors in animals, particularly the primate and elephant literature. And even after this statement, where he claims that learning (“taught”) could be the underlying cause, discarding problem solving, he then claims that social learning has not been proven in dolphins, though it has in ants. Finally the author also questions the relevance of use tool is, as there is no manufacturing involved. Regarding emotion-driven behaviours the author explains that human behaviour might “not necessarily be the prototype against which emotion-driven behaviour be measured”, though he does not apply this criteria himself. “The so-called ‘argument –by-analogy’ approach” means that not observing certain emotion-driven behaviour (such as grief), does not mean it is not present. It is easy to see that people from different cultures show their feelings differently. When such behaviours have been described in wild animals, the author argues that it is not science, but the interpretation of the researcher. Similarly, when discussing empathy the author provides “anecdotal” accounts such as dolphins rescuing drowning swimmers or rescuing people that are being attacked by sharks (which has reportedly occurred in many locations around the world), though arguing that this could be a genetic predisposition due to their complex social lives. But he goes even further, and reasons that a person being attacked by sharks cannot properly interpret and remember what is actually happening and therefore they are not a reliable witness. Dolphins are often described as special creatures, showing “extraordinary” behaviours. But, as it happens with humans, many of these behaviours or characteristics are shared with other animal species. Dr Gregg argues that because those behaviours are “by no means unique” to dolphins, then dolphins are not “special”. For example: parrots can comprehend symbols, some insect species have complex social lives, rats seem to show empathy, bees can transmit “limitless” information about food location, jumping spiders respond to video stimuli and zebras have VEN cells. The author fails to stress that under this line of reasoning we are not special either. Sentences in the line of “this does not tell us anything“, “dolphins are not the only animals capable of this behaviour”, etc, are abundant. For example, dolphins are capable of remembering learned behaviours for life, as well as arbitrary associations between symbols and their referents, to which the author responds saying there is not much to “chew on” as it has not been tested for how long and how many of those associations dolphins can actually remember. It is the presence of all of those many cognitive behaviours and characteristics that dolphins share with humans (and not each separately) that arguably make dolphins “special” creatures. This fact gets lost along the way when the characteristics are analysed and compared one by one, in isolation. Moreover, readers might (wrongly) assume that those animals that are being compared to dolphins are in the same cognitive level. In the book, the validity of many scientific research experiments conducted to study dolphin cognition is simply dismissed under alternative explanations, not always all that scientific. For example, when talking about dolphins responding to degraded video images of gestural symbols, Gregg says that “it might well be that Ake simply understood the trainer as being stuck behind a window”. Similarly, he uses confusing comments after promising results: “Many people might have a gut feeling that dolphins understand pointing because they really do know what humans “want” when they point to something. But I suspect fewer would say the same about dogs, even though both species understand pointing in similar impressive ways”. However, cognition studies in other animal species are accepted without questioning, and often the interpretation is misleading. For example, the author states that chickens can plan ahead because they learn that waiting before eating food they have been offered will bring more food later on, which is actually a typical conditioning behaviour used to train many species of animals. Whereas, site fidelity and seasonal, and often unique, local specializations of prey hunting techniques shown by most dolphin populations around the world are considered to be a genetic predisposition or to have evolved due to environmental conditions, involving no planning, social learning or cognitive problem-solving. My biggest concern when reading the book was the many subjective comments made by the author, especially when he claimed he was going to be objective. A lay person can easily believe his statements are facts: “Whether we begrudge him or embrace him, no dolphin scientist can deny that the current body of literature on the subject of dolphin cognition is balanced firmly (if at times precariously) on the shoulders of John Lilly”. After he previously described Lilly as basically a drug-user pseudo-scientist obsessed with dolphin intelligence, this comment effectively discredits every dolphin cognition researcher that has existed over the last 50 years. Another example of unfortunate comments is made when discussing dolphin’s aggressive behaviours. Some people claim that dolphins have a special bond with humans and that they live in harmony with their environment. We know dolphins are often “friendly” (or let’s better say “usually not hostile”, or to quote Douglas Adams “mostly harmless”) towards humans. And we can fairly safely say that dolphins as a group (there are almost 40 species of dolphins worldwide) do not cause mass destruction of their environment, chemical and sound pollution, have not engaged in vast programs genocide or marine world wars (at least that we are aware of). However, there are reports of aggressive behaviours within and between species, such as bottlenose dolphins killing harbour porpoises without a predatory purpose. Also, several humans have been attacked by dolphins, both in captivity and in the wild. Obviously intelligence is not related to aggressiveness, even the author recognises this. Humans are supposed to be the most intelligent animals on Earth and yet behave poorly in countless occasions, even when there are good intensions behind those behaviours. So it truly shocked me to read the following comment: “Finally, it goes without saying that the many species of aquatic animals that dolphins hunt, kill, and consume as food (e.g., mackerel, seals, grey whale calves) would, if allowed to chime in on the question of harmony, forcefully argue that dolphins can be fairly nasty individuals. There are, after all, no vegetarian dolphins”. Clearly this statement is unquestionably subjective and might lead the reader to think that dolphins are nasty because they are not vegetarians. I have problems understanding the rationale of such comment. And where does that leave the meat-eating humans? Or the many human populations that survive through hunting? The overall conclusion of the book can be summarised as follow: “Thus, unless we discover that dolphins are building launch pads under the waves ready to send dolphin-astronauts into near-earth orbit, we will probably never reach a stage when we should consider dolphin intelligence as rivalling the intellectual abilities of an adult human”. This is not a scientific conclusion, but just the mere opinion of the author. What is more problematic is the fact that only a small minority of humans have actually been able to build launch pads and send astronauts out to space. This is anecdotal. Most human nations on the planet have not sent rockets into space with human passengers. The vast majority of humans are not even close to being able to build launch pads, or cars, or kitchen tables for that matter. Not to mention small isolated human communities such as some tribes in Africa or the Amazon rainforest that have, literally, never seen an airplane in their lives. Moreover, humans were only able to achieve these feats in the past half century or so. The majority of the history of Homo sapiens is a species that could use only rudimentary tools such as sticks and stones, no more complex than the tools used by chimpanzees, capuchin monkeys, dolphins, sea otters or several bird species. The author explains, at the very end of the book, that one of the aims of the publication was “to determine if the scientific evidence of dolphin intelligence was strong enough to form the basis for both legal and philosophical arguments for personhood in dolphins”. One of the consequences of declaring dolphins non-human persons is the end of captivity, since it would be considered slavery. Dr Gregg is the co-editor of Aquatic Mammals, a journal funded by the International Marine Animal Trainer’s Association and he himself works with cetaceans in captivity during a period in American history when the ethical and moral justification for holding highly cognitive species, such as cetaceans (but also primates, elephants and other species) are receiving much greater public and official scrutiny. I question his objectivity. Thank you for having a look through the book and penning a review. I just wanted to clarify a few things. First off, it is unfortunate that you suggested that as a co-editor at Aquatic Mammals, I have a pro-captivity agenda which has cast doubt on my objectivity when it comes to discussing the science of dolphin cognition. Aquatic Mammals is a peer-reviewed, scientific journal, and the editors that volunteer their time as well as the reviewers do so as impartial, professional scientists. The fact that IMATA donates money to the journal has exactly no bearing whatsoever on the professional objectivity of the peer review process, nor could it possibly tell you anything about the personal ethical stances of the editors of the journal as it pertains to captivity or any other hot button ethical issue. Moreover, you are 100% incorrect in stating that I “work with cetaceans in captivity.” I have only ever collected data on wild dolphins, and never conducted observational or experimental work with captive cetaceans. You do not in fact know what my personal beliefs are when it comes to captivity, since I was very clear in my approach to the book that I was taking an impartial stance. Trying to infer my personal stance vis-à-vis captivity from my work as an editor at a journal is extremely problematic. Of course, total impartial objectivity is impossible for any human to achieve, but it is the goal of science. And this book was an attempt to discuss a divisive subject as impartially as humanly – and scientifically – possible. 1)	It is not correct that a direct comparison cannot be made between cognitive traits of different animals (human, dolphin, or whatever). In fact, this is the basis of the field of comparative cognition. Directly comparing, for example, the gaze following abilities of dolphins, dogs, chimpanzees and human will teach us an awful lot about aspects of social cognition for each species, and what the “evolutionary and ecological circumstances “ might be for each species that lead to (in some cases) convergent evolution of similar cognitive traits. 2)	You state that “When describing complex behaviours observed in the wild such as sponging by bottlenose dolphins and cooperative seal hunting by killer whales, the author claims that these behaviours are anecdotal and have no scientific value given the lack of an experimental design and the small sample size.” This is false. This is not at all what I suggest anywhere in the book. These behaviors are well documented in the literature. You seem to be confusing this with the discussion of how sponging arose, which is still an open question. It could have been dumb luck, or it could have been insight. And I do not “disregard” the research on problem solving – in fact I dedicate an entire section to the problem solving skills of the dolphins Bob and Toby, and how this is a clear indication that dolphins can solve problems via insight (see page 113). 3)	I certainly stand by the statement that “a person being attacked by sharks cannot properly interpret and remember what is actually happening and therefore they are not a reliable witness.” There is a huge body of research on how unreliable witnesses are when in these types of situations. 4)	You note that it is the “many cognitive behaviours and characteristics that dolphins share with humans” that make them special, and not just individual skills when compared to other species, and suggest that I have somehow ignored this argument. 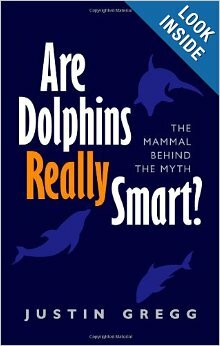 In fact, I spend pages 212 through 217 explaining the problems with this argument, and why we should be very cautious in dismissing the cognitive skills of other species – which we know so little about – in suggesting that dolphins occupy a special spot because they share so many characteristics with humans. 6)	The passage about dolphins not building launch pads is written to make the point that we should not judge the value/worth of dolphins cognition (i.e., their intelligence) based on a comparison with what it is that humans are good at. The entire point of my book (and this passage) is to suggest that this is “not a scientific conclusion” (as you state); we cannot make value judgments about intelligences by making unfair comparisons. This is running long, so I’ll finish up here. This reaction to the book is probably a good example of why it is so important for scientists to strive for impartiality when discussing divisive issues like captivity. If the public is going to engage in a meaningful debate on these kinds of issues, they need access to information that has not been filtered by people with either a pro- or anti-captivity agenda. But precisely because these are such emotionally charged issues, there is a tendency to want to divide the world into one camp or the other. My goal was to resist being tossed in one of these camps. As I state quite clearly in the book, my intention was to clarify the nature of the scientific research into dolphin cognition, and what the science is or is not telling us. I am quite happy with the results of my book in that I think I’ve managed to achieve a rather impartial breakdown of the science on the question of dolphin intelligence, and many others who have reviewed the book have agreed. If you read the book without the idea in the back of your mind that I am pro-captivity (which seems to be the catalyst for your objections), you just might find a treasure trove of information and arguments that could be quite useful when compiling a solid argument as to how we should be treating dolphins better. In fact, I offer some advice along these lines in the last few pages of the final chapter. Psychological experiments such as Philip Zimbardo’s “mock jail” using normal college students divided in “jailers” and “inmates” show that people tend to behave according to our expectations of them. Teachers also know this to be true of students. In my experience, a dolphin can be as smart as the humans working with it will let it be. To date, nobody has found the upper boundary because no human is able to answer the question, “What would it be like to be intelligent in a dolphin’s world, on a dolphin’s terms?” When we can answer this question, we will be a lot farther along the road to understanding how intelligent dolphins really are. Thank you for your comment, and for clarifying that though you are part of Aquatic Mammals, the Dolphin Communication Project and a co-author in at least one paper conducted with captive dolphins, you have not been involved in data collection on captive dolphins. As it says in my profile, I am anti-cap: the available scientific information has taught me dolphins do suffer in captivity. I guess the question for me becomes “is it worth it?”. Having said that, I read the book as a scientist, and my critique is based on what is written in the book and not on who you are and who you work with. I question your objectivity starting with the title of your book, and I question it again in page 1 with the introductory sentence, and again in page 2 when you state that chickens can plan ahead… and I question your objectivity throughout the book, and at the end of the book. I argue that the content is not (entirely) scientific, impartial and objective. Science is not coupled to subjective comments. Though I do believe you have managed to provide a great insight into animal cognition and the problems related to studying animal cognition in general, the many subjective comments are a source of concern (with a very special concern about Lilly and the post-Lilly cognition researchers), and led me to question your objectivity and therefore the overall conclusion of the book. As for the comment on vegetarian dolphins, the information you provided was enough to point out that dolphins are not always “peaceful”, and a short objective sentence as the one you just posted here would have been enough. However, you wrote what I quoted, and not what you “meant” to say. Also, with this interpretation of “peaceful” I would be peaceful as I buy the meat at the supermarket, but a pine tree would not as it produces substances to kill everything around them. It is at least a confusing comment, it is not saying what you meant to say, and of course, it is not scientific. The same applies to the launch pad comment. You did not write what you meant to say. And humans are not good at building launch pads, that is anecdotal. Page 81: “Do dolphins have emotions? Most definitely. In fact, is likely that all animals have emotions.” – BTW: does this include mosquitoes? The many articles about your book do not claim “chickens as smart as dolphins” but “dolphins as smart as chickens”, hence I disagree that my interpretation of the overall conclusion of your book is due to my “anti-cap eyes”. Saying that other animals are as “special” as dolphins is not the same as saying that dolphins are as “special” as other animals. You take dolphins out of the “pedestal”, when the information you provided throughout the book says we should make some space in the pedestal to include other animals as well. People argue dolphins are special, not unique. And even if we include another couple hundred more to the pedestal, they will still be “special” in comparison to the (at least) over 1.5 million existing animal species on Earth. And we might have to get used to the idea of treating all of those species differently. You explicitly stated that you are questioning my objectivity based on who I am, who I work with, and what you thought you knew about my personal stance vis-à-vis captivity. This is not a particularly professional stance to take when penning a book review as a scientist. Especially since it is factually incorrect, as I have noted. It looks like we are just going to have to agree to disagree on our definitions of “objectivity” and the extent to which you might be unfairly criticizing the book based on what you thought my stance was concerning captivity. It is important to remember that the book does not provide an argument in any way about how we should be treating dolphins based on the science. It simply discusses the science itself, and showcases the many different perspectives there are within the scientific community when it comes to interpreting the science of animal minds. I am not 100% sure how you are personally defining “special” or “unique,” or how “specialness” or “uniqueness” might lead to different ethical stances for different species according to your own personal philosophy. But please remember that I do not take a stance on these issues in the book. And also remember that there are very many perspectives when it comes to these issues from those working in the animal rights and animal welfare arenas. Indeed there are some perspectives that object to the speciesism approach that you mention (i.e., “we might have to get used to the idea of treating all of those species differently”). But again, while I briefly point out some of these perspectives in the final pages, the book is not about ethics or advocacy. It’s about getting our facts straight when it comes to the science of dolphin minds. Only when we have facts that everyone accepts as being factual will it be possible to hone our arguments as to how we should be treating dolphins and other animals. It seems that my background is more important for you to accept the point of my critique than yours was for me when reviewing the book, since I explicitly questioned your objectivity quoting parts of the book, most of which are not even related to ethical issues. And I am still very concerned about how you portrayed Lilly and the post-Lilly researchers. I insist that my conclusions are not far from the many articles that publicised your book (which you seem to accept gladly), though, as opposed to the other reviewers, I disagree with that conclusion because I don’t think you have been objective or impartial. Science is not garnished with subjective comments. Regarding the emotion discussion you might want to focus on page 87, where you say “almost certainly”. This is a recurrent issue throughout the book, where subtle changes of words give a completely different meaning to the statement, and something you have accepted becomes something “probable”. Perhaps a simple edit of “he himself works with cetaceans in captivity ” to “works with captive cetacean researchers in his organization and has published papers with data from captive cetaceans”. For example, Stan Kuczaj of the DCP is very pro-captivity (and viewed as somewhat of a pro-captivity activist by many marine mammal science colleagues), producing a double issue of his journal which was basically a justifications for captive cetacean studies. There was at least one criticism of the latter on the marine mammal science list serve MARMAM because of bias and where a scientific rebuttal / correction from ‘the other side’ was refused. As someone who has taught a class on animal cognition (not just dolphins) and who has given presentations and run workshops on cognition, I share many of Mel’s concerns. The bars set for what is intelligence are very anthropocentric and do not include the sensory modalities of the animals, how they are adapted to view of interact within their environment and what might be important for survival traits (or not), and where cognitive skills rest in the latter. This week alone I have seen several videos on social media related to cognition, awareness and dare I say it grief and emotion, in animals, including an orangutang using a spear to catch fish in a spectacular demonstration of tool use. I believe that we under estimate the cognitive abilities of many species, but just because one species has cognitive abilities it does not diminish them in another. For example, a marine mammal colleague recently said “your can’t use mirror self-recognition any more to prove that dolphins are intelligent, because birds can do it too”. No, that means that humans have under estimates the cognitive abilities of birds (in this case corvids) they have human level of cognitive awareness of self, and there are probably many more species with levels of intelligence they we underestimate because either we are not looking, or if we are we are looking at animals in a very anthropocentric prism.